The fake UFO channel everybody loves to hate, thirdphaseofmoon (which I won’t link to, because seriously) recently posted an interview with UFO documentarian Michael Horn who, according to producer Blake, was “back by poplar demand,” which I assume to mean the very trees cried out for more of him. 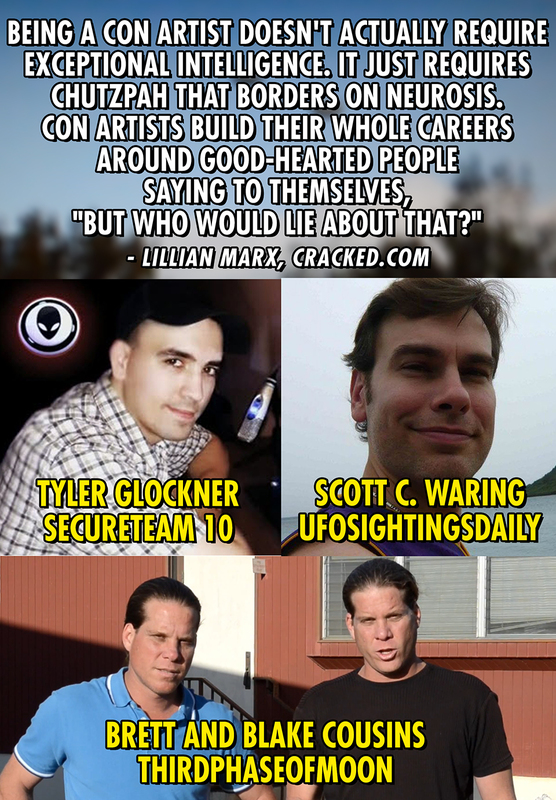 Horn is “the North American Publicist for the alleged UFO Contactee, Eduard Albert ‘Billy’ Meier.” If you’re not familiar with Meier, look him up. I’m not going down that bottomless rabbit hole. And “North American”? Does that mean there’s a South American, European and African publicist as well? Has Billy become MeierCorp International? The way these appearances work is somebody comes on to promote their product, in this case Michael Horn’s documentary And Did They Listen?, a title which already sounds like it’s scolding somebody, and thirdphaseofmoon gets free content (5 commercial breaks! Cha-ching!). As is the custom with TPM interviews, the guest is never challenged on any of their assertions. To say they lob softball questions is demeaning to softballs. It has to be that way, or nobody will appear on your channel unless you’re Joe Rogan, who can get actual celebrities on his show.